The collective goal is to provide artists with a “retreat style” setting in order to work on or develop their Art in the areas of visual art, creative writing including music composition. Organizers are now accepting applications from local artists (Nelson, Areas E or F) who are interested in this program. The residency consists of one-week shared residency with food allowance from August 18-24 at Hidden Creek Retreat. Boat travel will be provided to and from the retreat centre with one additional round trip for supplies and food if necessary. 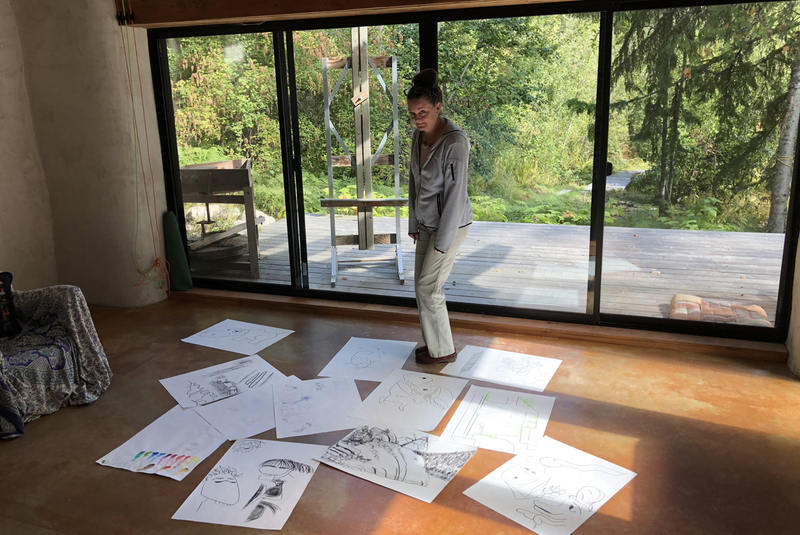 Artists who are interested in applying for the retreat are encouraged to e-mail a brief bio (2 pages maximum) along with images of recent work if a visual artist, samples of written work, or a link to a YouTube video for musical work to info@ndac.ca. Also, please provide an Artist Statement outlining how the Residency would contribute to your professional and personal development (5 pages maximum). Submission deadline is Friday, June 7th, 2019. Anyone needing more information should contact Sydney Black, ED of NDAC, at 250-354-8177 or email at info@ndac.ca.